Taking regular breaks from your supplements can help to maintain their effectiveness. As we discussed in our article on strategic supplement cycling, the body can build up a tolerance to different compounds over time. A supplement that worked wonders in the beginning can slowly become less effective over months of use. But this isn’t the case for everything, so which supplements should you cycle on a regular basis? And what’s the best way to approach it so that you get maximal results? 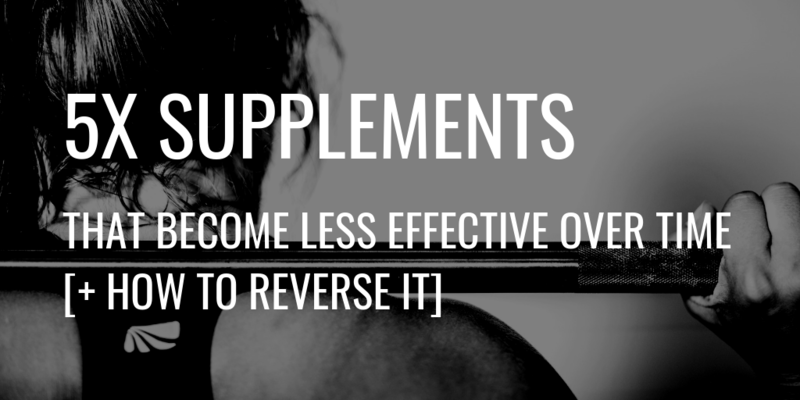 In this article, we run through 5 supplements that become less effective over time along with how to fix it. Many people already vary their creatine intake by alternating ‘loading’ and ‘maintenance’ phases. This has been shown to be the quickest way to increase creatine stores in the muscle. However, after 2-3 days the muscle stores become full so there’s no point in continuing to load up. At this point, it’s common to switch to a lower dose which maintains the stores at their maximum capacity. However, some people have raised questions about the safety of long-term creatine usage and highlight the risk of developing an irregular heartbeat. It can also cause some unwanted side effects, such as weight gain, stomach pain, diarrhea, nausea, and muscle cramps. This is why some people choose to cycle creatine instead of taking it all the time. How to cycle creatine ⇒ 1 week of loading, 4 weeks of maintenance, 4-5 weeks of washout. If you’re an athlete, then time your creatine weeks with periods of heaviest training for maximal results. Taking thermogenic supplements can be an effective way to decrease your body fat. They’ll boost your metabolism so that you naturally burn more calories and store less fat from the food you eat. But after a while, your body can adapt by slowing your metabolism to compensate. Fat burners aren’t designed for long-term us so it’s also possible that they can increase cortisol levels with prolonged use. Because it’s a stress hormone, this can lead to unwanted muscle breakdown and fat storage. Cycling your fat burners will avoid your body becoming desensitized to the active ingredients and adapting its metabolism to compensate. It will act as a reset button to your system so that you can resume taking it in the future and continue to see results. If you’ve been taking a thermogenic supplement for some time but have stopped seeing results, then it may be time to take a break. How to cycle fat burners ⇒ Take them for 2-4 weeks to help you reach your fat loss goal, then have a 1-2 week break. Caffeine can help to suppress your appetite, which is why we include it in our Pyroxamine formula. It can also improve endurance exercise performance and increase focus too. However, stimulants like caffeine can quickly lose their effectiveness over time. 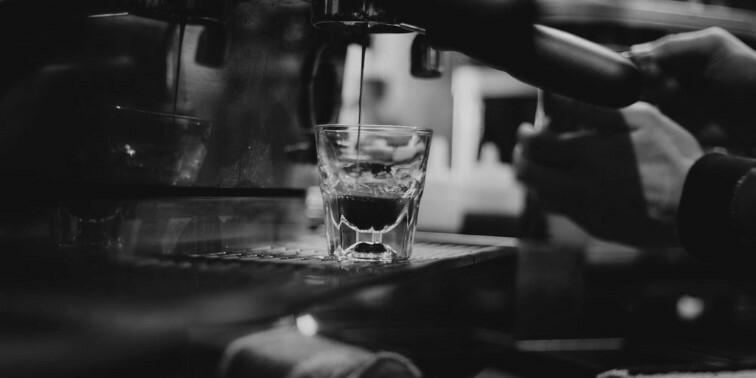 In fact, research has shown that caffeine tolerance can develop within just 1-4 days. Depending on your training goals, you may want to cycle caffeine to boost its effects. If you want to suppress your appetite or improve focus, then cycling can help you maintain its effects long-term. But if your goals are related to endurance exercise, then cycling won’t’ have any beneficial effect. This is because these activities involved different neurotransmitters and caffeine tolerance affects some more than others. How to cycle caffeine ⇒ take a 2-week break to shift dependence and reset your tolerance levels. It’s also important to read the ingredient label of other supplements carefully to ensure you don’t ingest it accidentally during your washout phase. HMB is a metabolite of the main branch chain amino acid involved in muscle building – leucine. It’s short for β-Hydroxy β-Methylbutyrate and is thought to reduce the rate of muscle breakdown. 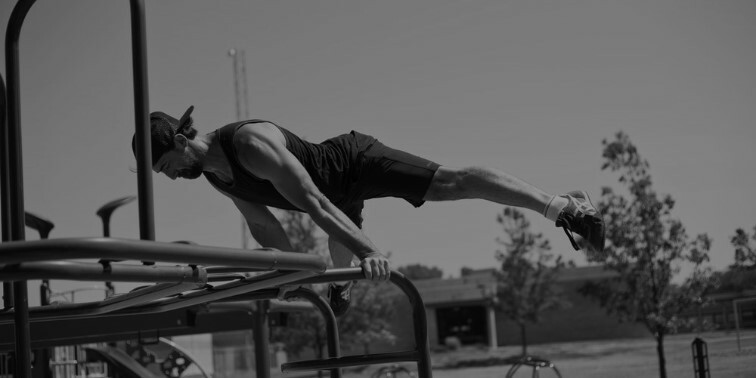 Research shows that HMB can increase strength, body composition, and lean muscle mass. It seems to be particularly effective in untrained or novice athletes but less so in experienced resistance trainers. For this reason, it can be useful to cycle HMB instead of taking it consistently. It’s often included within creatine supplements so it’s easy to cycle both at the same time. How to cycle HMB ⇒ take a 4-week break after the first 4-8 weeks of consuming it. Nitric oxide is a signaling compound found in muscle cells. It controls blood flow, glucose uptake, and the delivery of oxygen. It’s also influential in muscle growth, power, and contractile speed which is why it’s a popular supplement in bodybuilding circles. However, taking nitric oxide means your body is exposed to higher levels than it would be naturally. This means that it tries to adapt over time which results in the effects becoming less noticeable. Cycling your intake can help to avoid this adaptation so that you maintain the same benefits long-term. How to cycle nitric oxide ⇒ follow the same approach as HMB by taking a 4-week break after the first 4-8 weeks of consuming it. By cycling these supplements on a regular basis you can extend their efficacy and get better results. You’ll also avoid wasting time and money on products that aren’t actually doing anything for you. Taking breaks will ensure that you don’t build up a tolerance or become dependent without realizing it. As with any nutritional program, it’s important that you listen to your body and pay attention to what it’s telling you. So, if you think you need to extend or reduce the cycle stages for your own needs then do what feels right for your lifestyle. Caroline has a Master’s degree in Human Nutrition and Bachelor’s degree in Sports Science. She has an in-depth understanding of sports nutrition and wrote her Master’s thesis on protein supplementation. After graduating she also qualified as a Personal Trainer and loves to combine her knowledge of exercise, nutrition, and science to help people achieve their health goals. For over 10 years she has worked with leading fitness and nutrition companies all over the world. She also loves functional training, practising yoga, and exploring different countries in her spare time. Fill out the info below and you will be sent a free ebook on crafting The Perfect Diet! MYOKEM™ has developed a series of clinically tested and reviewed products that use unique formulas and scientifically proven ingredients to help you burn fat, increase stamina and endurance, build lean muscle mass and enhance your recovery.